Baldwin Bait & Tackle (BBT) is a well known fly shop that caters to anglers fishing the world-class Pere Marquette River. Nearly 20 years ago it launched a website that proved to be a popular destination for anyone wanting to fish for trout, salmon, or steelhead in the PM. But as time went on, the site ran into issues. It was hard to maintain and update. The platform was way outdated. It wasn’t mobile-friendly. Social sharing wasn’t present. And it just plain looked old. 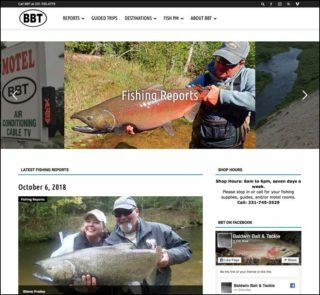 Tight Lines Digital stepped in and righted this ship in two weeks by building whole new website for BBT on an easy-to-update platform. By focusing on what anglers need most, Tight Lines removed the clutter and featured what BBT does best: gets people in the river and onto fish. 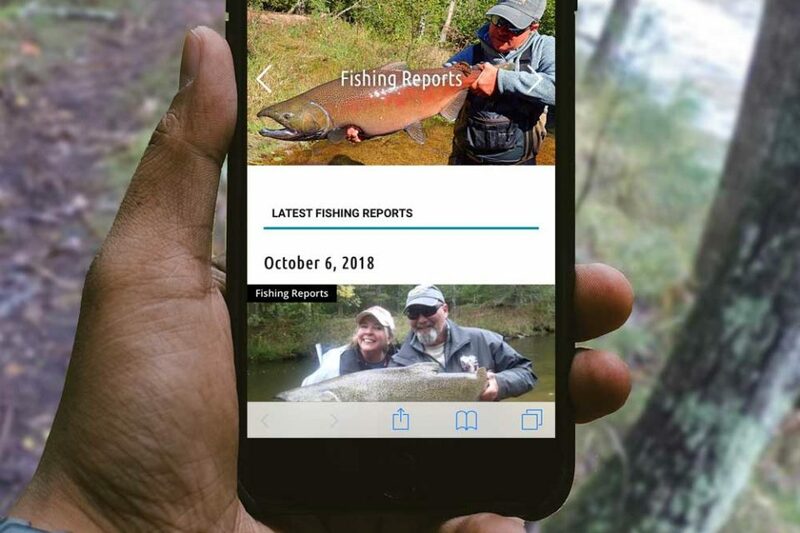 And because anglers in the area are often looking for information via cell phone, the redesign is truly a mobile-first experience – loading fast and clean. The owners of BBT have long done a great job of providing fishing reports and pictures for the Pere Marquette, and now those items are up front so anglers can find them right away. Additionally, the site provides all the other details an angler needs to get going: water levels, weather, access points, details on licenses and permits, how and where to fish. BBT expands its business model by providing lodging and hosting fishing trips to exotic locations. The redesigned site features those opportunities in new, fresh ways to help build BBT’s business. Beyond the redesign, Tight Lines Digital also provided a comprehensive digital package including SEO optimization, analytics, social media integration, AMP compatible, documentation, and training.